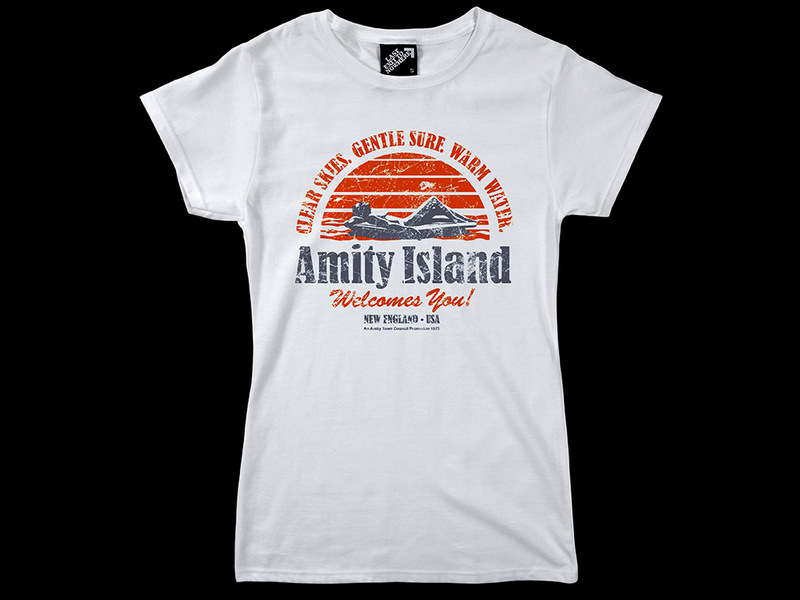 A two colour design, hand screen printed on a 100% cotton ladies fit white T-shirt. 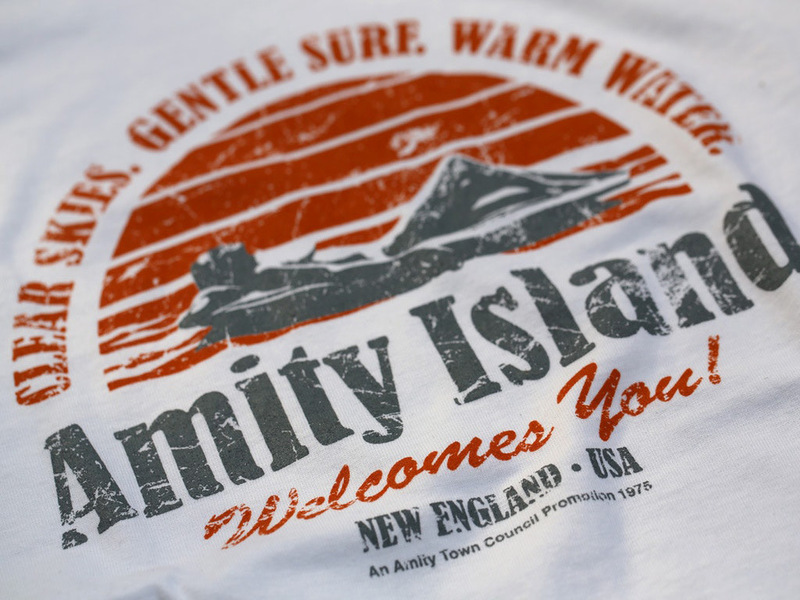 Inspired by the fictional New England summer resort town featured in Jaws, the 1975 American thriller film directed by Steven Spielberg about a man-eating shark starring Roy Scheider, Robert Shaw and Richard Dreyfuss. Thanks alot for your delivery, the t-shirts are fantastic and I really appreciate your wonderful customer care, if only more people had your frame of mind.